Finding the best sandblaster for your project does not have to be very complicated. You just have to take note of the most important factors to consider. That is why today, we will be featuring a simple buying guide with several reviews on products you may choose. Campbell Hausfeld’s Sandblaster is our top pick for this list. That is because of its superior power and efficiency in removing abrasive materials and substances on surfaces. While this might seem like a bare minimum for sandblasters to meet, it’s important to know that not all can be as effective. Campbell Hausfeld engineers its sandblaster to be simple, straightforward, and powerful. Thanks to its siphon-feed spray gun, this sandblaster can easily accommodate various type of medium! It includes baking soda, glass, aluminum, steel, silicone, carbide, and even walnut shells. Further, convenience is another factor to consider. The hose that extends up to 10 feet is more than enough to assure you that you can easily maneuver this gun. As for the air compressor, you have a choice between horizontal or vertical ones. Also, it has a capacity of 20 gallons up until 80 gallons. While blasting grit and dirt is its specialty, this can also be suitable in woodworking. Our second place can make a case that it’s the best one between the two. Lematec’s portable sandblaster has enough features to contend with the Campbell Hausfeld’s product. It’s a matter of preference and what you need when comparing these two. For one, the sandblaster comes in a compact yet sturdy built. From afar, you can mistake this as a water gun of some sort. This small build of the gun might make it look cheap. However, do not underestimate this because it is a powerful and convenient sandblaster. For convenience, control is one aspect where this sandblaster excels. The control valve is an overlooked part of a sandblaster because some don’t know how to use it. With Lematec, the control valve is adjustable. That means that you can use this more than just a sandblaster if you control the air pressure correctly. Our budget pick won’t let you spend more than 20 US dollars. Generic’s Ceramic Tips Abrasive Sand Blaster is a siphon sandblaster that’s as cheap as it can get. It makes use of a feed blast gun nozzle with a minimum air requirement of six CFM (cubic feet per minute) at 80 psi. It is made with die cast aluminum and also has an aluminum pistol grip, making it heavy duty yet comfortable for the hands. Buying the set would include four ceramic nozzle sizes: 4mm, 5mm, 6mm, and 7mm. For my upgrade pick, we’re going with Unitec’s Speed Sandblaster. Since it’s right on the pricier side, you can expect this sandblaster to reach around 50 US dollars and above. Still, what you’re getting here is a quality product that’s sure to last. While some of our previous products are known to be robust and efficient in sandblasting, Unitec is best known for speed. The main feature to look out for here is its gravity-fed design. Gravity helps release the particles at a much faster rate, giving this gun leverage for the toughest jobs. Performance Tool makes it last in my list as the niche pick. Meaning, it’s the one product that has several flaws, but it’s also a specialist in one important area. With that said, Performance Tool’s Sandblaster Kit is the best sandblaster for small projects and etching. While some of the products we reviewed are also good at this, Performance Tool does a little bit more. That is because it’s designed to cater to smaller projects due to its ceramic nozzle and real trigger gun. Sandblasting is simply a cleaning method. However, what makes sandblasting a different kind of cleaning method is that it propels or blasts off fine bits of material with high pressure or velocity. 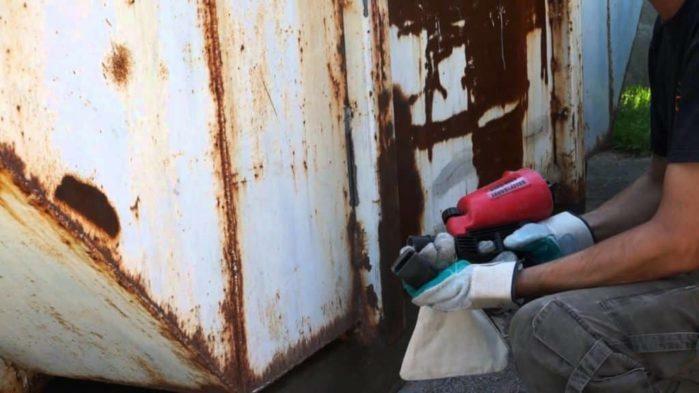 Also known as abrasive grit blasting, this cleaning method makes use of various brushes which is then blasted off through a nozzle with compressed air. 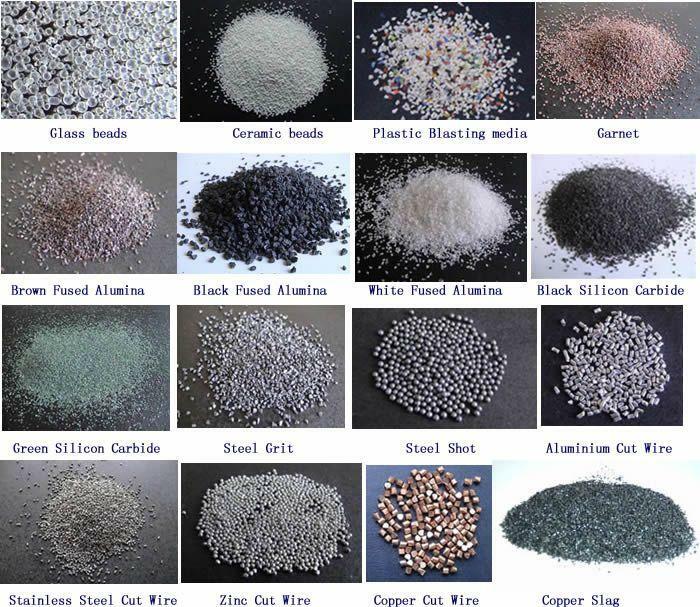 Steel grit, baking soda, plastic, crushed glass and aluminum oxide are just some of the common abrasives used by this method. However, it is important to note that not all kinds of surfaces can use sandblasting as a cleaning method. Some of the best situations to apply this method to would be for preparing a surface before applying paint, bond or coat. Another one would be when removing scale, sand, rust or paint from fabricated structures. This method is also helpful if you are trying to achieve a matte cosmetic surface finish. And lastly, for surface texturing. However, these are just some of the many things you can use the sandblasting. Do not be afraid to research more if the nature of your project falls under any of the range of applications for sandblasting. It is the first thing you can consider. What would be the kind of sandblaster that you need? There are three main types of sandblaster: the gravity-fed, the siphon and the pressure sandblaster. The gravity-fed sandblaster makes use of gravity, just as the name suggests. A container called hopper should be on top of the gun and inside it would be the sand. This sand is the one that you can use for blasting. After getting hooked to an air compressor and the trigger pressed, air and sandblasts off the nozzle at high speed. On the other hand, the siphon sandblaster can also be quite similar to the gravity-fed. However, instead of the hopper mounted on top of the gun, it is located below the nozzle. Because of this, the sand will travel to the nose in a suction-like manner instead of as the air is blasted off. And last would be the pressure sandblaster. Instead of just the standard container, it makes use highly pressurized sand canisters. The sandblasting gun hooked to the cannister then blasts off sand after you pull the trigger. However, this type can come off as a little more expensive compared to other types. A price you have to pay as this type is so much easier to use. Also, you cannot reuse sand or old canisters. A new canister is a must. That is another thing you need might want to find. It is most particularly useful if you are planning to take your sandblaster outside to a project site instead of just home use. There are mini, large and industrial sandblasters. Mini sandblasters are usually portable and handheld, designed to work well with hard to reach areas. This type is ideal for car prepping. It can be either for removing rust or paint for refinishing work. You can even use it to etch glass designs. However, do note would be more suitable for glass work or more delicate projects. Large sandblasters, on the other hand, can cover even more work aside from car refinishing such as removing old house paint for repaints and renovations. Due to its size, the large sandblaster should be on stable surfaces such as a cabinet or bench for support. However, it is easily portable by a cart with wheels. Finally, the industrial sandblaster. 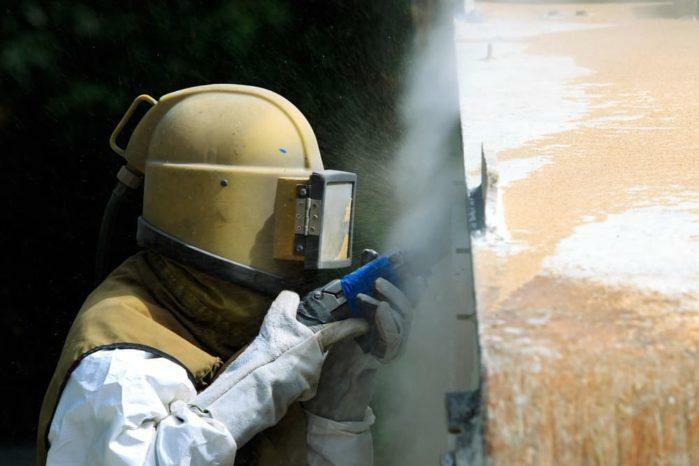 Usually mounted on a large truck, industrial sandblasters for professionals that can be suitable blasting off the rust and paint from buildings. Although this type is heavy duty, they can be even more expensive compared to other sandblaster types. Also, another factor to consider would be the type of media you want to use. Depending on the size, shape, hardness, and density of the particle you want to use, decide on whether you want to use sand, baking soda, ceramic grit, etc. You can explore a broad range of media types, so don’t be afraid to find out which one works best for you. Lastly, would be the key features. Does it have a warranty? Will it always need a new canister? Does it have safety features? These little things can help make sandblasting more convenient and less risky for you. Especially, you will be dealing with high pressure blasting to do the job. So there’s my list of the best sandblasters to consider buying. Remember, it’s important that you know what the nature of the project you are completing. That gives you a foundation on what to look for, what to consider, and what to avoid. Sandblasters are pretty cheap, but let’s not waste any money and time either way. Hence, I’ll wrap this article up by talking about Campbell Hausfeld’s sandblaster as the winner. While that sandblaster isn’t the most portable or easy to use, it compensates substantially through sheer power. Sandblasters are tasked to remove unwanted surface layers. Bearing that in mind, Campbell Hausfeld stands above the rest in surface removal! If you found this article informative, leave a comment and share this to your friends. Good luck!